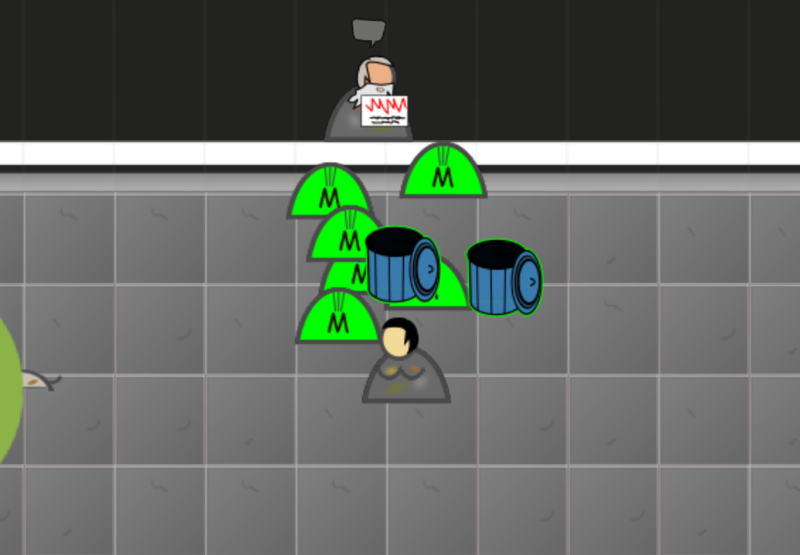 Spawner are game elements which can spawn items on a timely base, can request for some items to be equipped to be used and have a timeout property. Please refer to the Spawners Modding reference for more informations on spawner properties and configuration. In this guide you will add your newly made object to the trashbin spawner to make it findable while looking in trashbins. Wow! Quite a long list! Everything you can find in a trashbin is listed here. You can notice each entry has some properties, which should sound familiar to you if you followed the previous guides. Worth noting there is a “rarity” property indicating how rare is to find the concerned item in the spawner. The higher the value the less probable is to find such item. Another thing worth noting is the use of a wildcard in the last two entries of the list. It will tell the game to get a random item from the category. To make thing more dramatic we will remove everything from this spawnables list and replace them with our new item. So searching in trashbins will always return our new shirt. Sounds fun. Just approach any trashbin in the game and look in it. And… surprise!